The BCE Controller Console works well with all custom heater assemblies such as the Mini Clean Flow Heater. 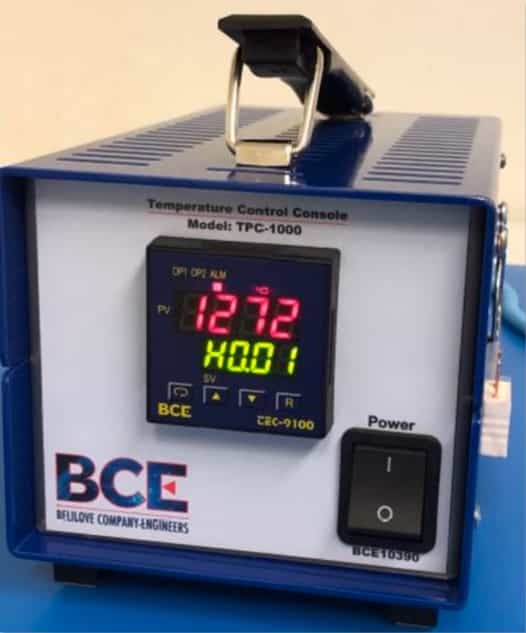 Construction characteristics of the BCE Controller Console is a portable, quality-built, self-contained systems for monitoring and controlling process temperatures in a wide range of fixed or portable applications. This 1-zone unit uses reliable next generation 1/16 DIN, auto-tuning. fuzzy logic, PID temperature controllers with user-friendly programming.